This post originally appeared on the fi360 blog (since archived). To preface the article, I entered the financial industry in 1996 as an Edward Jones Investment Representative. With comprehensive securities and investment training, but no knowledge of ERISA or the complexities of retirement plans, I made numerous presentations to investment committees and can tell you from experience, if you’re not educated, you’re not qualified to sell or service a retirement plan. This article expresses my interpretation of what I’ve seen over the years. Those that have been around longer may have a different perspective of the maturation of the retirement industry and the ability for investment-only advisor services (brokers and registered reps) to continue to provide value to a retirement plan client. My hope in writing this article was to shed light on the need for advisors that service retirement plans to have ERISA training and advocate for a minimum level of regulatory awareness for those that get paid from plan assets. Any advisor that gets paid from employer-sponsored retirement plan assets should have specialized training as a condition of selling or servicing retirement plans. This opinion is based on personal experience, research, and a commitment to what’s in the best interests of the client. Twenty years ago, a retirement plan client didn’t seem very different than other clients that needed investments. The advisor role was limited to selling the investments, running an investment analysis report, and educating the employees on basic investment concepts. The retirement segment of the financial industry was not formally carved out and there were no sales or service standards. This outdated service model has evolved into much more by independent advisors and retirement specialists but unfortunately is still in practice in the broker world today. With the introduction of the “F” word by fi360 in the early 2000’s, followed by the Pension Protection Act of 2006, the 408(b)(2) and participant disclosures, and now the proposed amendment to the definition of an ERISA fiduciary, the competency threshold for selling retirement plans should no longer begin and end with the ability to select and monitor investments. Specialization is now needed in the retirement industry, which has been informally carved out over the last decade. Perhaps that should read “Give credit to fi360”. While the Employee Retirement Income Security Act (ERISA) is not new, (nor is the Uniform Prudent Investor Act, the Uniform Prudent Management of Institutional Funds Act or the Uniform Management of Public Employee Retirement Systems Act), in 2003, fi360 published the Prudent Practices series of handbooks and opened the eyes of the investment community by interpreting these regulations and making us all aware that they actually required practical application. Their interpretation of the regulations (substantiated by legislation, case law, and/or regulatory opinion letters), introduced many to the reality that certain actions make a person a fiduciary; along with the “F” title comes personal responsibility AND liability; and documenting regulatory compliance is critical. Over the next several years, magazines, newspapers, newsletters, and conversations were flooded with “F”-this and “F”-that and while it seemed like an overused and often misunderstood word, its integration into the mainstream media caused many to take notice and evaluate their investment management practices, especially in the wake of the ENRON debacle. This new legislation created tremendous opportunities for advisors that specialize in working with employer-sponsored plans. It opened the doors for plan design changes, participant advice programs, and solutions that could make a positive impact in helping participants towards more successful retirement outcomes. Generalists, however, offered little value in helping plan sponsors interpret, understand, or benefit from the changing regulations. With the new legislation also came increased enforcement initiatives by the Department of Labor, escalating their audits of retirement plans. The Employee Retirement Income Security Act of 1974 (ERISA) provides DOL with the authority to conduct civil and criminal investigations of employee benefit plans. In turn, DOL audits usually focus on violations of ERISA, including fiduciary issues, prohibited transactions and reporting/disclosure problems. Along with the increase in audits, benchmarking became the buzzword and new plan benchmarking tools started to pop up. Fiduciary Benchmarks, Inc. (FBi) was founded in October 2007 with the express purpose of providing plan benchmarking services. In 2007, three financial industry veterans formed BrightScope and began to build the BrightScope Rating Engine, with a lofty dream: to enhance and protect the retirement security, health, and welfare of America’s workforce by increasing the transparency and efficiency of the company benefits market. SearchPro 2.0, Improved Retirement Search Tool is Launched Asset International and Exa Infosystems announce the launch of SearchPro 2.0 – a next generation plan provider analysis & benchmarking tool, which promises to be an exceptionally strong performer in the retirement industry space. And on JANUARY 23, 2008, a headline in the 401k Exchange online newsletter read: New 401kExchange Tool Scouts Plan Investments. iScout Benchmarking: Each report comes presentation-ready and is designed to promote a discussion of investment alternatives, fiduciary responsibilities, and overall plan quality. An increasing number of advisors became acutely aware of the importance of understanding the changing retirement regulations and the need for specialization. The evolving retirement industry saw a sharp increase in the number of training programs being developed to help advisors and in the last 10 years, almost 20 new programs have been launched. In 2006, Financial Service Standards published the Retirement Credential Comparison Chart that included 11 available certification programs that could help advisors working in the retirement plan space become more knowledgeable (4 of which were developed between 2002 and 2006). In 2012, The Retirement Plan Professional’s Designation & Certification Guide published by Financial Service Standards found more than 26 different education and certification programs designed to help advisors specialize in various aspects of retirement plan consulting, sales, and service. More and more advisors have now started offering fiduciary support services to plan sponsors to help them understand and adhere to the regulations. This further specialization of the retirement plan market continues to make it more difficult for generalists without ERISA or fiduciary training and services to compete beyond the small plan segment. The recent participant and provider disclosures regulations further carve out the retirement plan business as a distinct industry in which advisors need much more than basic investment training in order to practice competently and compete effectively. The reality is this: most non-fiduciary advisors servicing plans in the micro and small plan market have no formal retirement plan training and limit their services to providing investment reports and participant education. It’s like the blind leading the blind. Only in the mid and large market do we find specialization among competing advisory firms, leaving a huge gap in the level and quality of services being provided in the smaller market. 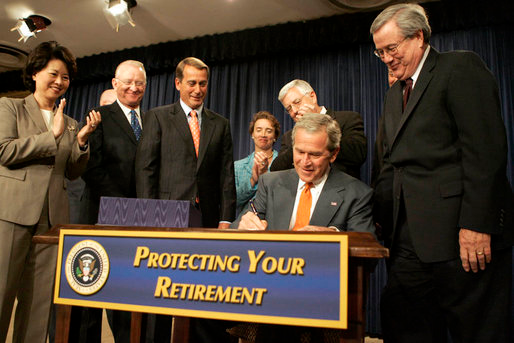 The regulations surrounding retirement plans are complex. Regardless of plan size, there are clearly defined roles and responsibilities for investment fiduciaries spelled out in ERISA. However, when a company decides to offer a retirement plan or when an individual is appointed to sit on an investment committee, a full understanding of ERISA and fiduciary responsibility isn’t automatically conferred. There is no packet handed out with the adoption agreement that explains what an individual needs to know before taking on the personal liability associated with managing a retirement plan. Furthermore, ERISA doesn’t include any provisions that indicate as long as the plan assets don’t exceed a certain threshold, the rules don’t apply; or just because the risk of litigation is small, plan sponsors should only comply with the rules they’re aware of or have the time to implement. The Pensions Act 2004 (sections 247-249) requires trustees to have knowledge and understanding of the law relating to pensions and trusts and the principles relating to the funding of occupational schemes and the investment of scheme assets. Trustees are also required to be conversant with their own scheme’s policy documents. I do believe that all plan sponsors need to be educated on the requirements of running a successful and compliant plan. It would be difficult, however, to require training for all plan fiduciaries since fiduciary status is not limited to a named trustee, fiduciary roles at the plan level are rarely clearly defined, and most plan sponsors rely on the professionals they hire to understand and interpret what’s necessary to run a plan effectively. I believe the evolution of the retirement market into a distinct and specialized industry has caused a shift in what is needed and expected from the advisor community. Since the fees paid to the advisor on a retirement plan can often be more than 50% of the total plan costs, the advisor is the most likely provider to be perceived as the expert or individual best positioned to help the plan sponsor understand and meet the myriad of regulations surrounding retirement plans. Hence, whether an advisor acts in a fiduciary capacity or not in providing retirement plan services, all advisors should be certified and trained on ERISA matters and meet a minimum level of specialization in order to get paid from ERISA plan assets. In a recent article by Dale Magner, the VP of Retirement Product Sales at Guardian Retirement Solutions, published by RPMI’s Weekly Exchange, Dale noted that the Department of Labor’s focus on fiduciary status during the past year has illuminated the fact that many financial professionals have been unknowingly acting as ERISA fiduciaries. Investment training is not enough. Designations that indicate a comprehensive investment analysis course of study is not enough. 401k specialization is needed. Advisors need a baseline understanding of the different types of employer sponsored retirement plans available, they need to understand the roles and regulations defined in ERISA, and they should have a solid grasp of what resources are available to help plan sponsors meet the regulations surrounding their particular type of retirement plan. The advisor role must evolve to include professional certification in order to provide a minimum level of competency and value. Professional certification provides the public assurance that the certificate holder is educated and competent. With each new regulatory change, approved retirement legislation, or opinion letter issued, it becomes clear that the retirement industry needs advisors with specialized knowledge, capable of helping plan sponsors navigate the multitude of rules and responsibilities. Many broker dealers are now revisiting their retirement business and allowing some advisors to become ERISA 3(21) fiduciaries once they’ve met certain experience, plan asset, and training requirements; which I firmly believe is a step in the right direction. However, NOT requiring minimum training by non-fiduciary advisors leaves the liability gap open. Advisors who are unaware of the prohibited transaction rules, ERISA’s definition of fiduciary or potential conflicts of interest, can’t protect themselves, their clients, their business, or their broker dealer. And as I’ve heard many times in this industry, ignorance is not a valid defense in the case of an ERISA audit or participant lawsuit. Larson warned that “many advisors are surprisingly still unaware that the DOL has jurisdiction over them”. Specialized training for retirement advisors is a no-brainer in my opinion. Clients would be better served, advisors would be more valuable, and broker dealers would be better protected against the potential liability of uneducated advisors working in a high-value industry. With specialization clearly in the best interest of all involved, and an abundance of ERISA and retirement certification programs available (see the Retirement Professionals Designation and Certification Guide), there’s no reason firms shouldn’t begin to implement a risk management strategy for their retirement business that includes specialized training prior to allowing advisors to receive fees from a retirement plan. In addition to ERISA training, retirement clients would be better served with an advisor whose service model is robust enough to help plan sponsors understand and reduce their personal liability; but that topic deserves another article in its own right.